My friends have been pushing for this trip last year but I requested to have it moved after our wedding so I can be sure that I'll walk down the aisle bruise-free. 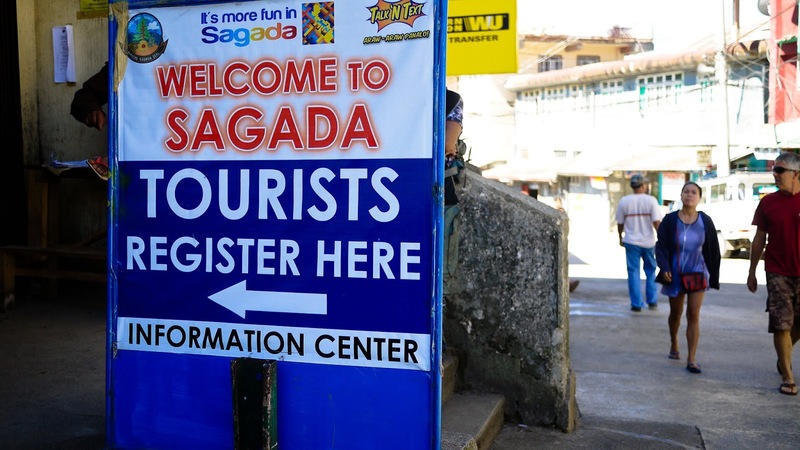 Some of you might say I'm OA but those who've been to Sagada and braved the caves would agree with me. Add the fact that we're beach people, not hikers. But I'm thankful that we all went home to Manila without a single scratch or dislocated bone. Just another wonderful story to tell our future kids. 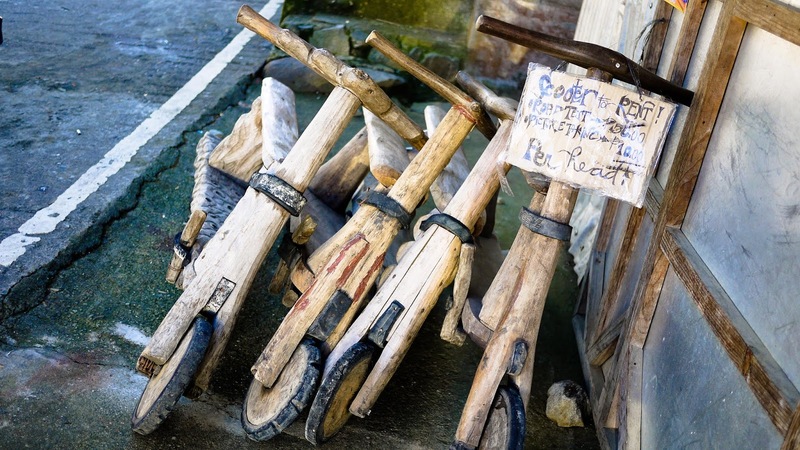 There are many ways to get to Sagada and we chose the Banaue route. From Manila, we took the 10PM trip of Ohayami Bus1. 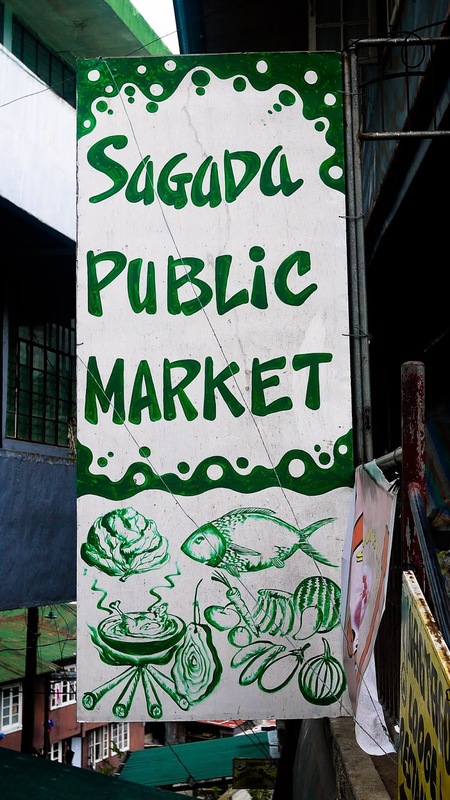 It had 2 stopovers, one in Bulacan and another one in Nueva Vizcaya. 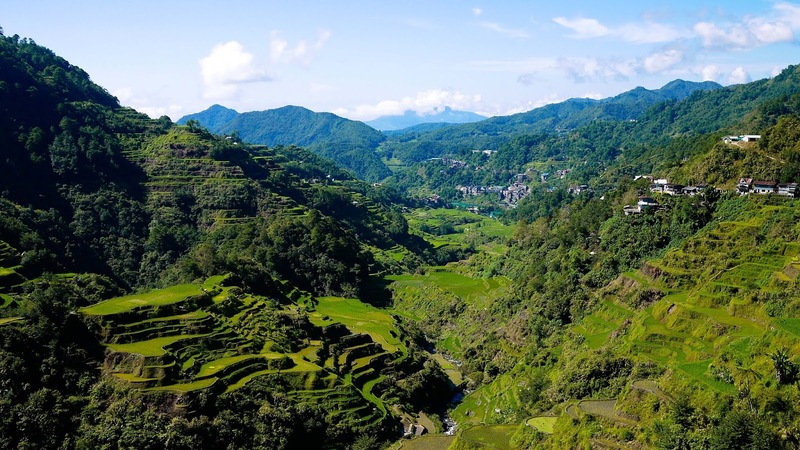 We reached Banaue before 7am and negotiated with the van operators2 that will take us to Sagada in about 3 hours. While waiting for other passengers, we requested the driver to take us first to some place to eat. So he dropped us off at Stairway Lodge and Restaurant. We left our bags in the van but brought with us all our valuables just in case driver ran away with all our stuff. There's nothing special about the restaurant. Even their breakfast is so-so. Just like any other restaurants in the town, it offers a view of the terraces. The driver came back in about an hour and a half. 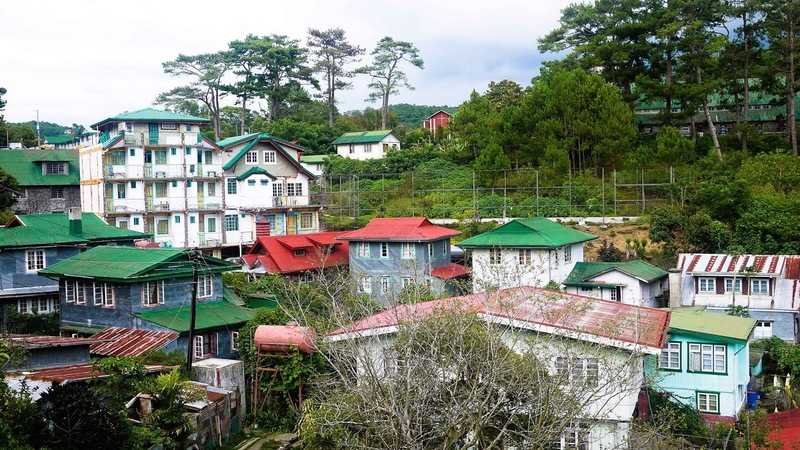 8 more passengers joined us and among them is a young couple who we helped secure an accommodation in Sagada. 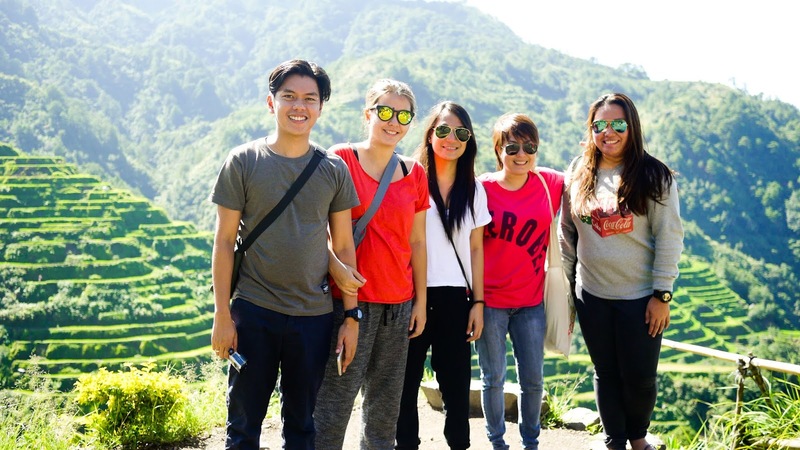 On the way to Sagada, we made short stops at the viewing areas of Banaue Rice terraces and other terraces in Bontoc. 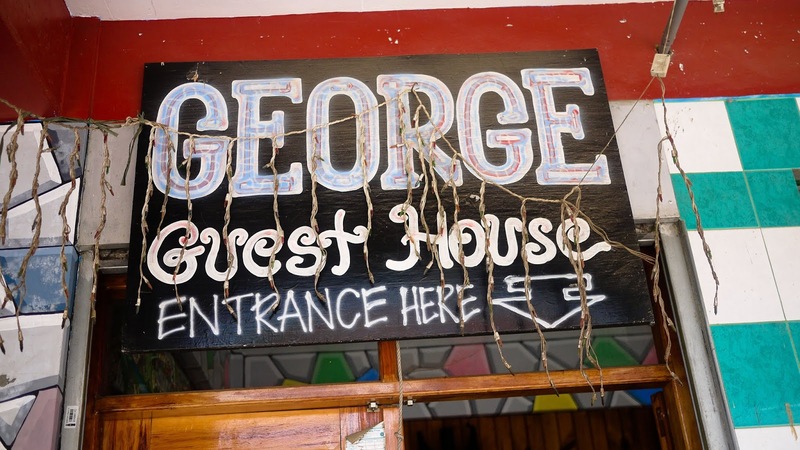 We made a reservation at George Guesthouse which is located in the town. About 5 minutes away from the center. We did inquire through more popular accommodations like Misty Lodge and Rock Inn but we're lucky that they're fully booked. They're a bit far from the town center where most of the restaurants are. 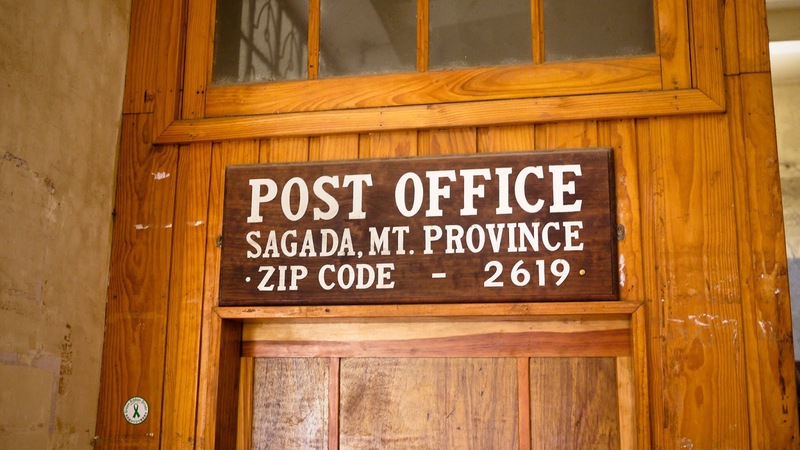 While we were in Sagada, it's either we walk or call Gian, our driver to take us somewhere. I noticed some passenger vehicles though, around 2 to 3 and they were jam-packed. We didn't have a fixed itinerary because we were depending on the weather. Safety is our priority. And since it's also a weekend, we expect influx of tourists so for sure most of the popular sites are packed. So we were always modifying our schedule up to the last minute. All tourists should pay a 35 peso environmental fee at the tourist information center. They provide you with a list of tourist sites with rates which takes away your worries of paying more to abusive guides, if there is. Through the recommendation of our friend, Mel, we got the services of Aklay to be our tour guide. Jego communicated with him mostly through text and when we met him at the tourist info center, we were surprised that he's already in his 60s. Or maybe I was judgemental. Let's say 50+? He was just wearing shirt, maong pants and a pair of old flip flops. Still surprised, we surveyed him as he take his small backpack and gas lamp. Binder even doubted if he really is a tour guide. He asked us if we preferred the 40-minute walk to the cave entrance or we rent a vehicle. Walking from Salt & Pepper (where we had our lunch) to the tourist info center, we were already panting (high altitude, please don't judge) so maybe it is just fair that we choose the latter. After all, we're reserving our energies for our 4-5 hour spelunking adventure. Oh, and if you happen to run out of cash, there's a working ATM at the tourist information center. 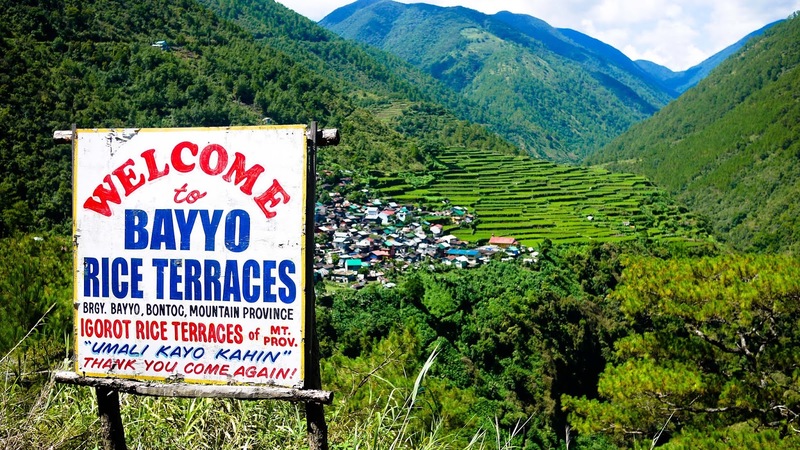 1 Ohayami Bus has daily trips from Manila to Banaue (9PM and 10PM). They add trips during peak season. Fare is 470. 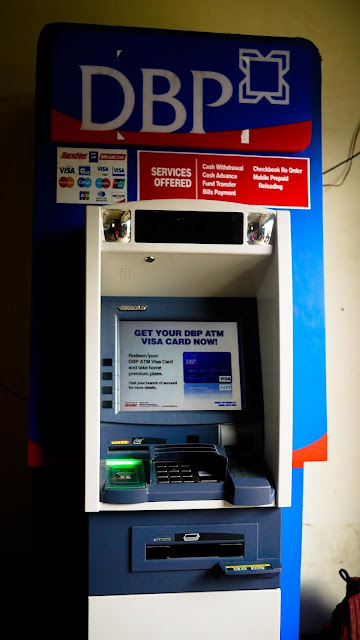 Terminal is located at Lacson cor Fajardo in Manila. It is best to book in advance to secure your seats. 2 Vans that ply the Banaue-Sagada route charges 300 per passenger.